← December 20th… Holiday Party Tips! Who doesn’t love an Eggplant Parmesan dinner? The crispy fried egg plant, the creamy ricotta and mozzarella cheese, and fresh tomato sauce. I would eat this every week if I could, but with all the yummy goodness comes some not so helpful calories. The average Eggplant Parmesan dinner has 850 calories and 34 grams of fat, that is more than 1/2 my calories for the day! What’s a girl to do when she craves Eggplant Parm? Tada… my Eggplant Parm Quiche! All the yummy flavor and goodness of Eggplant Parm packed into a portion controlled low carb, high fiber and high protein dish. This meal is great to make ahead of time and reheats nicely. 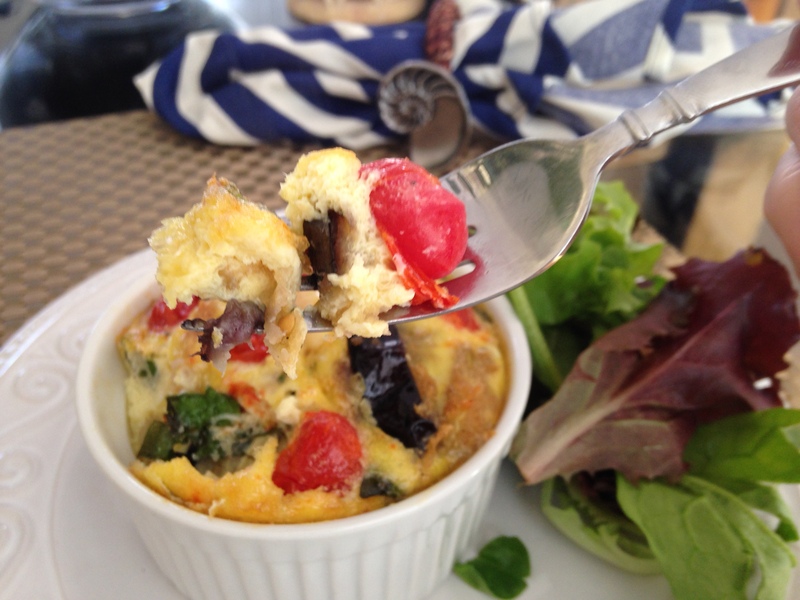 It is wonderful for a brunch with a fresh fruit salad or a lunch/dinner with spring mix salad. 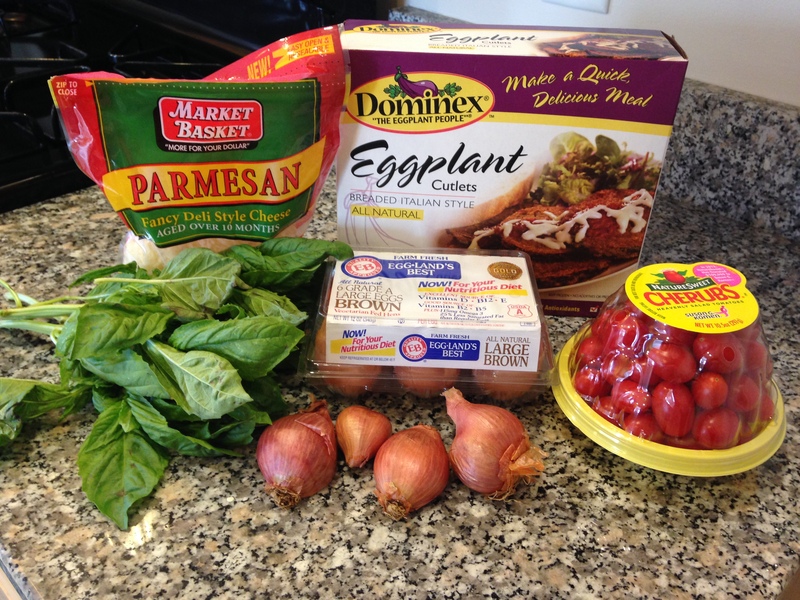 We all need a short cut every once and awhile, and mine for this recipe is a great product, Dominx Eggplant Cutlets. You can find them in the freezer section of all Market Baskets. The product is great, they use thick cuts of egg plant, and whole wheat bread crumbs. 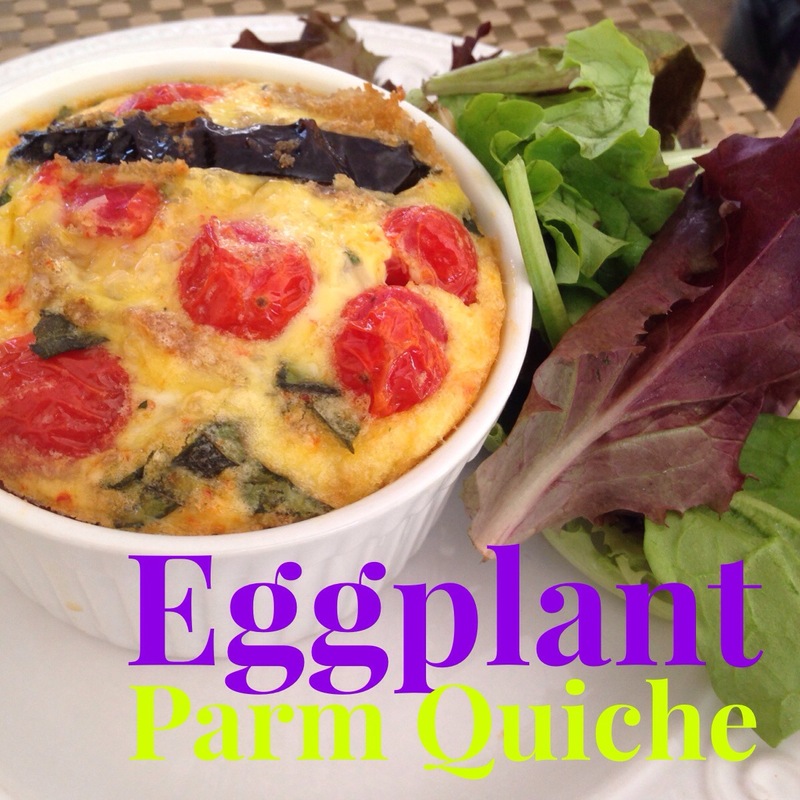 It is a great product to keep in hand to whip up a quick dinner, add to salad or my Eggplant Parm Quiche. My challenge this week is to look for healthy alternatives for your favorite calorie packed dishes! 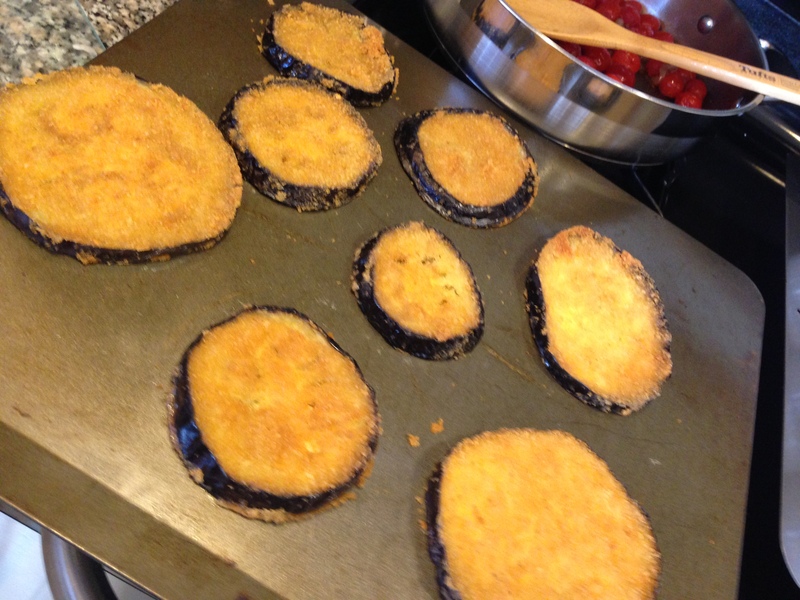 Step 1: Bake off the eggplant cutlets to make crispy. Step 2: Dice the shallots and chop basil. 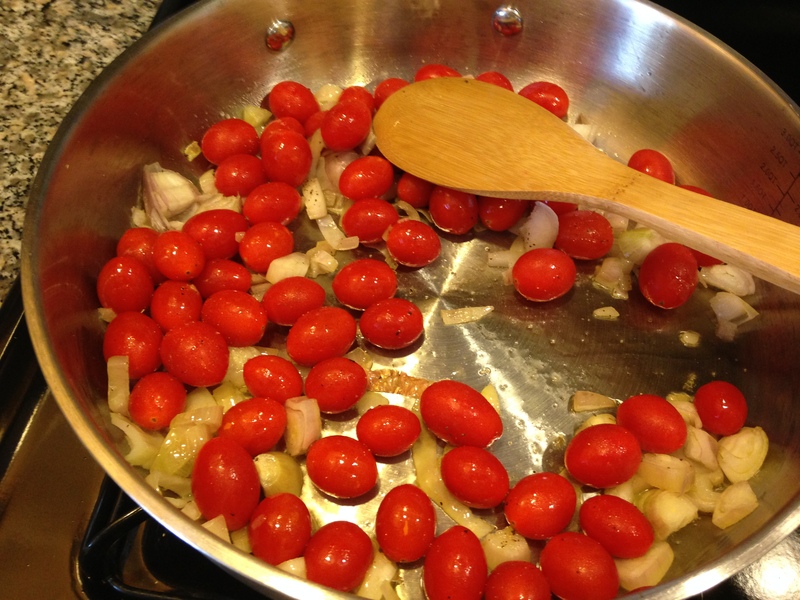 Step 3: In a hot pan with olive oil, cook shallots and tomatoes. You know the tomatoes are ready when they start to blister. Set aside to cool. 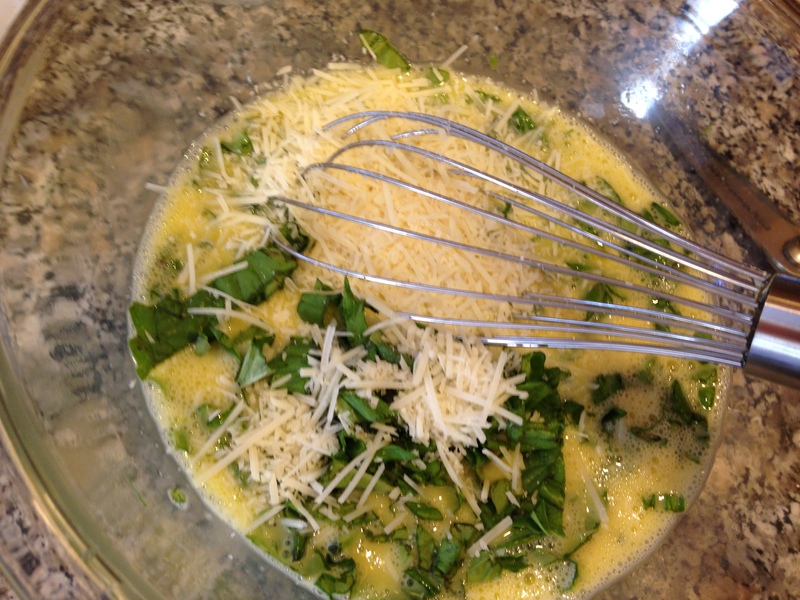 Step 4: Wisk eggs, 1/2 cup milk with fresh chopped basil and 1/4 cup Parmesan. 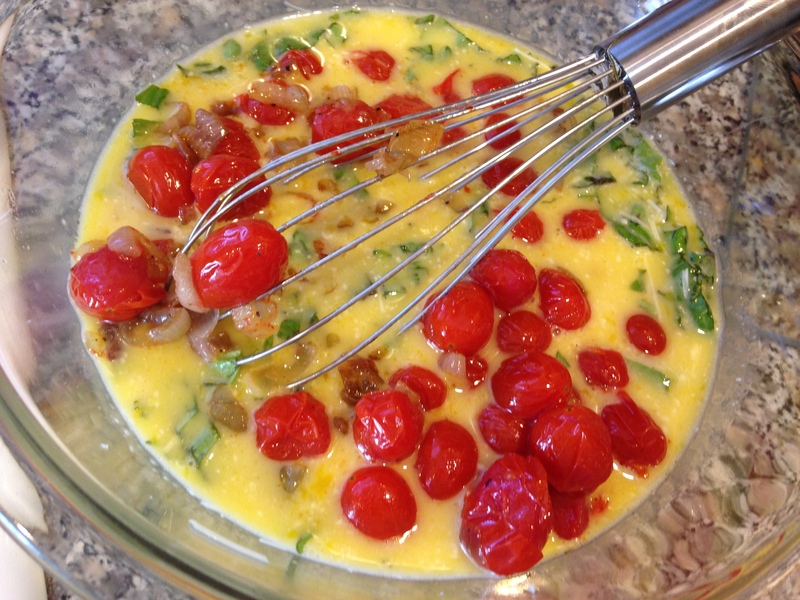 Step 5: Add the cooled off tomatoes/shallots and eggplant cutlets to egg mixtures. Step 6: Prepare 6 ramekins with olive oil spray and fill almost to the top. Bake at 350 for 20 minutes or until fully cooked. 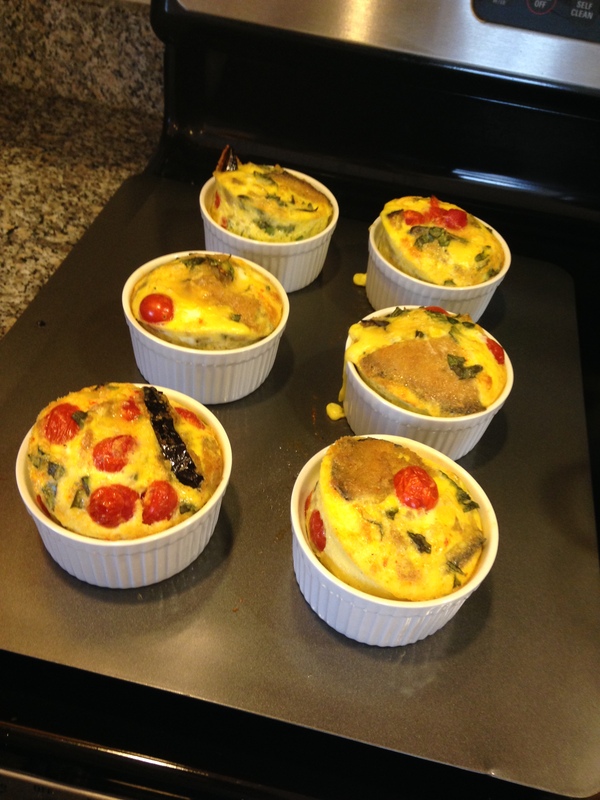 This entry was posted in Breakfast, Brunch, Dinner, Meatless Mondays!, Quick & Healthy, Uncategorized and tagged Cooking, Dinner, eggs, High Fiber, high protein, Quick, Vegetarian, Weight loss, wellness group. Bookmark the permalink.